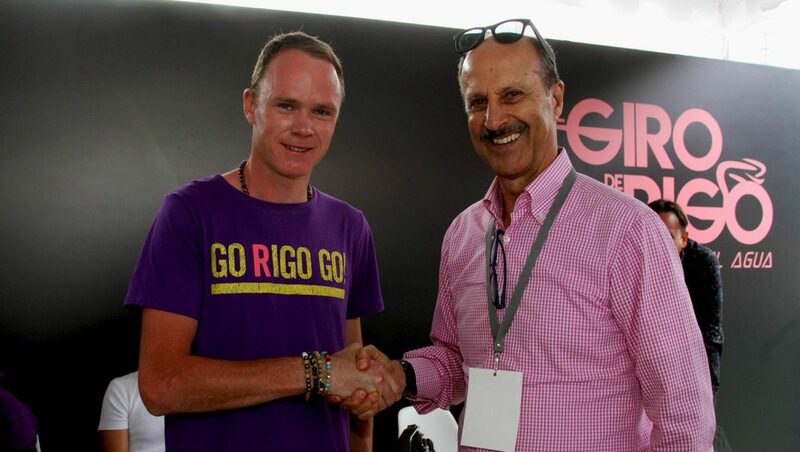 Chris Froome, four-time Tour de France winner and current Giro d’Italia champion, announced his intention to kick off 2019’s cycling season in Colombia. The name of the race in which the British cycling giant is reported to take part is a rather underwhelming ‘Tour Colombia 2.1’ due to disagreements from various factions involved. It was known as Colombia Oro y Paz last year, and was a big success. So much so, that 2019 will see not just the créme de la créme of Colombia’s formidable array of talent, but also international stars such as Froome and road race world champion Alejandro Valverde, with others expected to announce their presence too. The race will take place after the Colombian National championships, from February 11-17. The former Colombia Oro y Paz is currently a UCI level 2.1 event, although the organizers would like to see it on the ProTour proper in the future. For riders tired of doing the Tirreno-Adriatico or Paris-Nice in Europe as preparation rides, it ticks a lot of boxes. There are some seriously tasty climbs, plenty of altitude training, guaranteed good weather and lots of local support. It’s also away from the full glare of the media spotlight, in a country that really understands cycling. Compare that to the Tour Down Under or the Tour of Dubai, and it’s a no-brainer. Sadly, it still doesn’t reach across the whole country, focusing mainly on Antioquia next year. Christopher Froome, who is shrouded in controversy over his achievements, is not the most popular figure in Colombia. As the main rival to Nairo Quintana, he’s viewed as the enemy by many Colombian cycling fans. Those fears are heightened by the constant accusations of doping hanging over the practices of Team Sky. Curiously, those allegations don’t seem to extend to Colombian talent on the Sky payroll, such as bright young hope and winner of the Colombia Paz y Oro Egan Bernal or Colombian National Road Race Champion Sergio Henao. 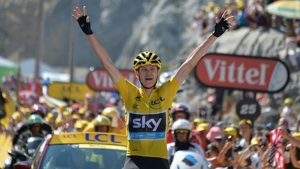 Froome’s time in Colombia seemed to go smoothly, and the world’s fastest asthmatic warmed to the country. His Instagram updates praised Colombia as “magnificent” and he said he “can’t wait to visit again”. He’s picked up a liking for lulo juice and got the chance for a quick swim in the Guatape reservoir, as well as mucking about on horses with Bernal and giving a massage to Rigo.